19 May 2016, London – Duracell has today announced it is an Official Partner of the 2016 Great Run Series, as part of a new campaign to help runners ‘Unlock the Power Within’. Duracell is officially powering the 12 race series that sees 180,000 runners compete annually across the UK. The Series includes marquee events such as the Great Manchester Run, the Great Newham London Run – which concludes with a lap inside the Stadium at Queen Elizabeth Olympic Park – and the UK’s biggest running event, the world famous Great North Run. 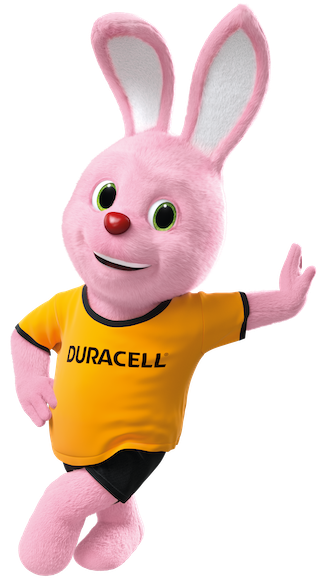 The partnership will include the branding of pacemakers in the colours of the iconic Duracell Bunny at each race to champion their role in helping runners go for longer. The move into running for Duracell builds on the iconic heritage of the always-running Duracell Bunny – the symbol of the brand’s power and longevity. The campaign will see Duracell focus on helping ordinary runners unlock their power within to go further and longer, just like Duracell products do. It will be latest entry into the sporting arena from a brand with significant heritage in sports partnerships, most recently as official tournament provider to the Rugby World Cup 2015 where it launched the successful #POWERCHECK™ campaign. To join the conversation follow @DuracellUK on Twitter and Facebook. Duracell is the world’s leading manufacturer of high-performance alkaline batteries, specialty cells and rechargeables. Since its foundation in the early 1940s, the company has become an iconic personal power brand, trusted for compact and longer-lasting batteries. On average 63 Duracell products are sold every second, and Duracell is the number one brand recommended by the world’s largest manufacturers. Duracell has a rich history of innovation with many pioneering and successful products, ranging from the first hearing aid cell button to alkaline AA and AAA batteries through to wireless charging technologies and home energy storage. Our Quality Assurance Standards specify the highest quality of raw materials, rigorous testing and inspection of performance and energy usage. Duracell employs over 3,300 staff around the world and has global regional headquarters in Geneva (EIMEA), Singapore (Asia), and Miami, Fl. (LA) and Bethel, Conn. (USA). On 1st March 2016, the company became a permanent part of the Berkshire Hathaway group. Great Run is now established as the world’s favourite run with over 280,000 participants a year taking part. The events programme stretches across the UK from Glasgow to Portsmouth offering a full range of distances from 5k through to a Marathon team relay. Most events include a family running element and support the growing INEOS Go Run For Fun campaign. As well as the running programme, Great Swim offers an additional series of timed challenges in iconic rural and urban venues. A full range of online services are available from Great Run Training and Great Run Local, weekly events are staged in our key cities. All designed to provide the support and advice for participants of all abilities to achieve their personal goal. Great Run, the world’s favourite run. Primiți ultimele noutăți despre Duracell sau adresați-ne orice întrebări despre media. Duracell is the world’s leading manufacturer of high performance alkaline batteries, specialty cells and rechargeables. Since its foundation in the early 1940s, the company has become an iconic personal power brand, trusted for compact and longer-lasting batteries. On average 63 Duracell products are sold every second, and Duracell is the number one brand recommended by the world’s largest manufacturers. Official Rugby World Cup 2015 Tournament Provider, Duracell, today launches a new objective measure of power and endurance to help fans to understand more about teams, players and key moments at the 2015 Rugby World Cup. Login for exclusive access to content, press releases, media files and more!